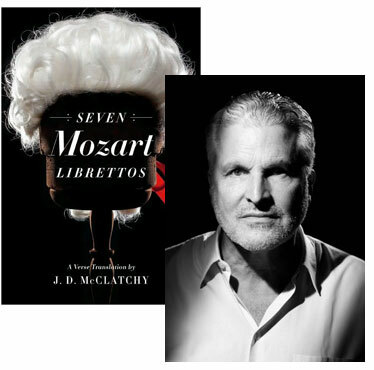 A libretto is not a poem or a play. It lacks the former’s structural intensity and elegance, and the latter’s depth and intricacy. It has a very specific non-literary function—to make the composer want to write music. Yet throughout opera’s history there have been librettos of superb finesse and polish. A great composer can make them into an unparalleled dramatic evening. 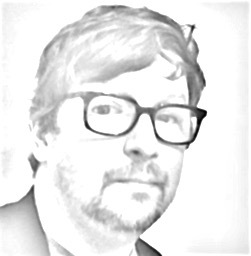 But what is it that draws a composer—Mozart, say—to want to set a particular text? And he never thanks me. Poor food and little sleep. This is not the life for me. And not a word of gratitude. Never a nap, and rotten food. Towards the end of October, Lincoln Center launched a three-week “White Light Festival” dedicated to “music’s transcendent capacity to illuminate our larger interior universe,” juxtaposing performances of Western classical composers such as Brahms, Bruckner, and Bach with a dance company composed of Shaolin monks or a troupe of Manganiyar siingers from the Muslim communities of northern India. Mrs. Beatrice and I were fortunate enough to attend a “Magnificat” recital by the Tallis Scholars, primarily focused on Arvo Pärt but also including pieces by Palestrina, Tallis, Allegri, Praetorius and Byrd, that was breathtakingly beautiful; I also had the opportunity to attend two panel discussions moderated by WNYC’s John Schaefer on the themes of “Silence” and “Sound,” the latter being preceded by pianist Pedja Muzijevic’s performance of, among other works, John Cage’s 4′33″. “We often think of sound and silence as opposites,” composer John Luther Adams noted as the event moved into its discussion phase, but 4′33″ points the way towards what Adams described as “ecological listening”: “When we start listening to where we are, we hear things that usually we might not think go together, but they do, in the world.” One of the immediate effects of that afternoon’s discussion was to compel me to re-read the chapter on Adams in Alex Ross’s excellent Listen to This, and to start listening to two of his major compositions, Earth and the Great Weather and In the White Silence. 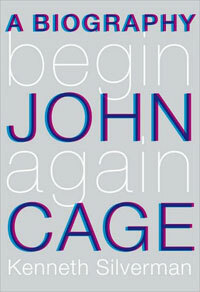 What took a little longer was for me to sit down with Kenneth Silverman’s new biography of John Cage, Begin Again. I was already somewhat familiar with (the concept of) 4′33″, and with the development of Cage’s musical thought up to the point of its creation, thanks to Kyle Gann’s insightful No Such Thing as Silence, but Silverman provides additional biographical context for those early years, as well as covering the second half of Cage’s life. There’s a lot of detail on the processes that Cage used to compose his unconventional works, as well as the non-musical endeavors of his later years, like his eager apprenticeships in chess and engraving. It makes you wonder, perhaps, if intellectual curiosity and boundary-pushing experimentation might be the thread that links Cage to the otherwise seemingly disparate subjects of Silverman’s previous biographies: Cotton Mather, Edgar Allan Poe, Harry Houdini, and Samuel Morse. (Granted, Mather would seem to be the odd man out in that lineup.) Begin Again doesn’t appear to be a substitute for reading Cage’s own essays on music and creativity, but then I don’t imagine it was intended as such—as an introduction to and an engaging invitation to learn more about an important American artist, however, it works quite neatly.